Leading Wholesale Trader of stainless steel flat bar, stainless steel 304 / 304l flat, stainless steel 316 / 316l flat and stainless steel 304 flat from Mumbai. With support from our talented team of professionals, we are able to offer a premium quality SS Flat. This SS flat is manufactured utilizing best in class material and progressive technology in tandem to universally verified standards. As well, our offered SS flat is provided in numerous sizes & finishes according to the needs of customers. The SS flat offered by us is inspected in terms of quality before dispatching to our customers. Abhay Steels supplying and exporting of SS 304 Flat Bar that find application in diverse industries for the fabrication work. These SS 304 Flat Bar are extensively used in Steel industry. Our SS 304 Flat Bar are appreciated for the features such as highly tensile strength and anti abrasion finish. These can be availed in both standard as well as customized dimensions. 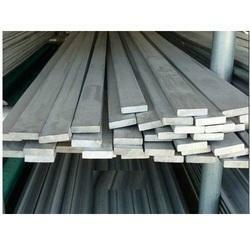 We also offer these SS 304 Flat Bar at competitive prices. Addition of such SS 304 Flat Barelements is usually for the purpose to increase hardness, strength or chemical resistance. Stainless Steel 316 / 316L Flat is easily machined, stamped and welded, with strength, corrosion resistance and a finish that is easily cleaned. The 316 stainless flat bar is made of marine-grade stainless, which improves corrosion resistance. We are engaged in offering Stainless Steel 304 Flat in different grades as per the need of the customer.